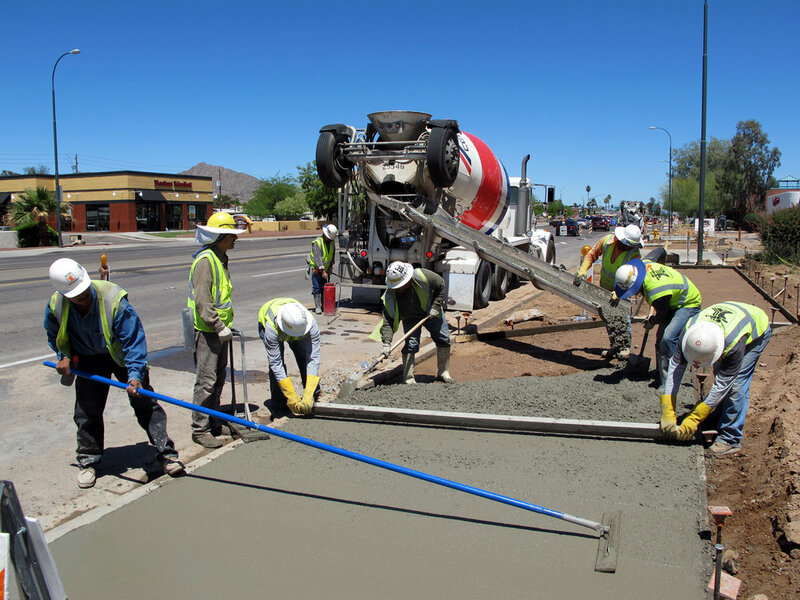 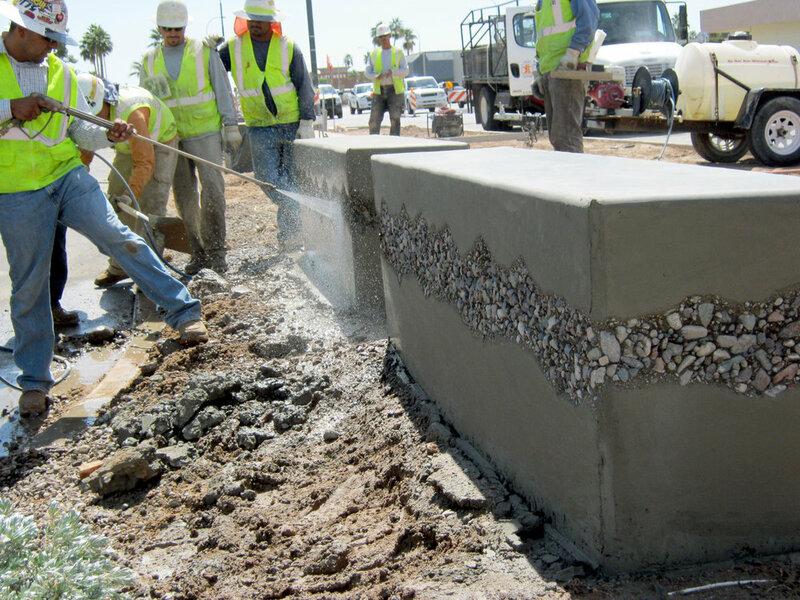 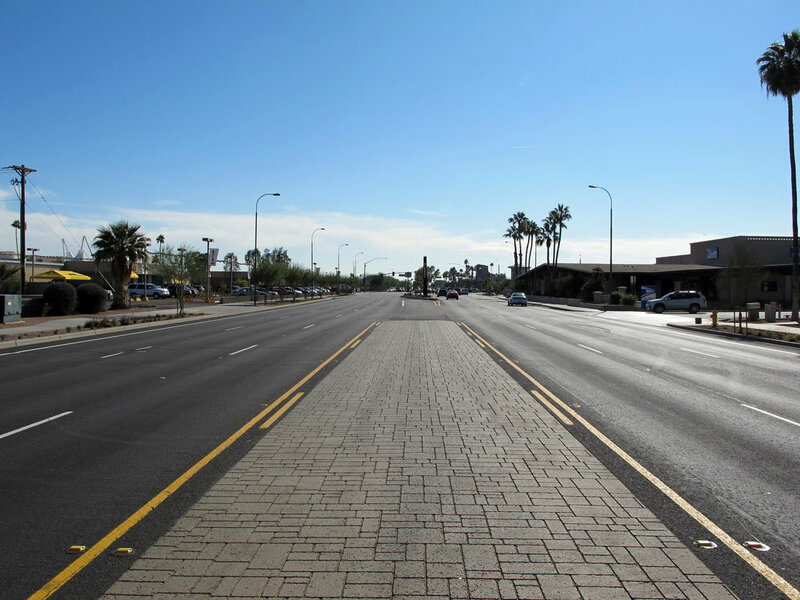 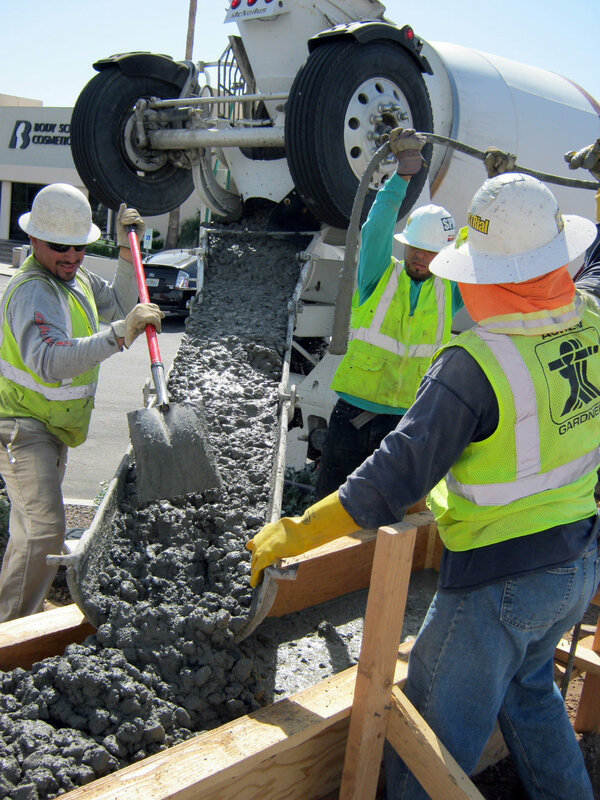 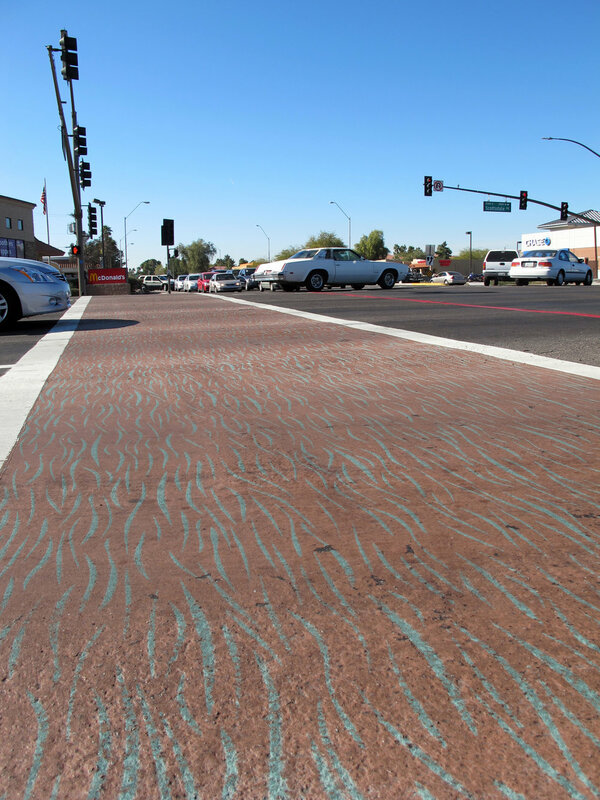 This project involved the reconstruction of the median and sidewalks on Scottsdale Road from Roosevelt Street to Earll Drive as well as widening the roadway to accommodate a bike lane on both sides of the street. 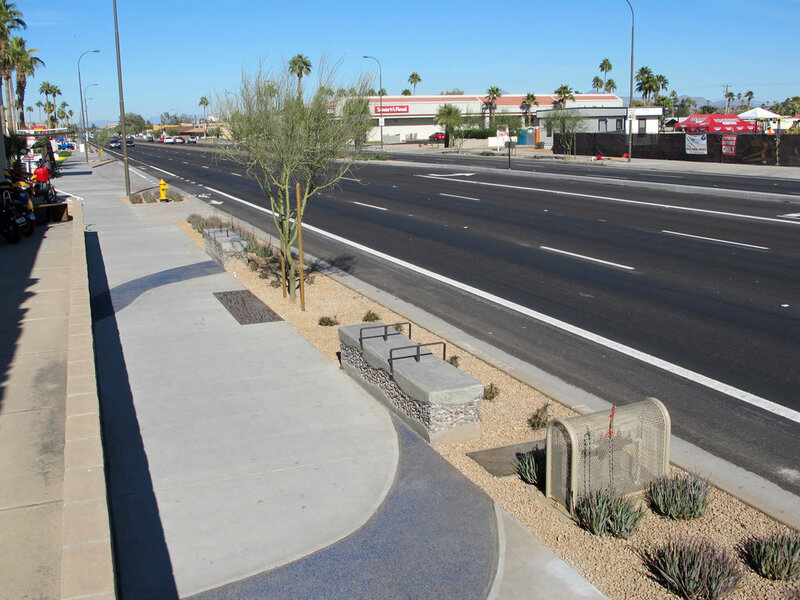 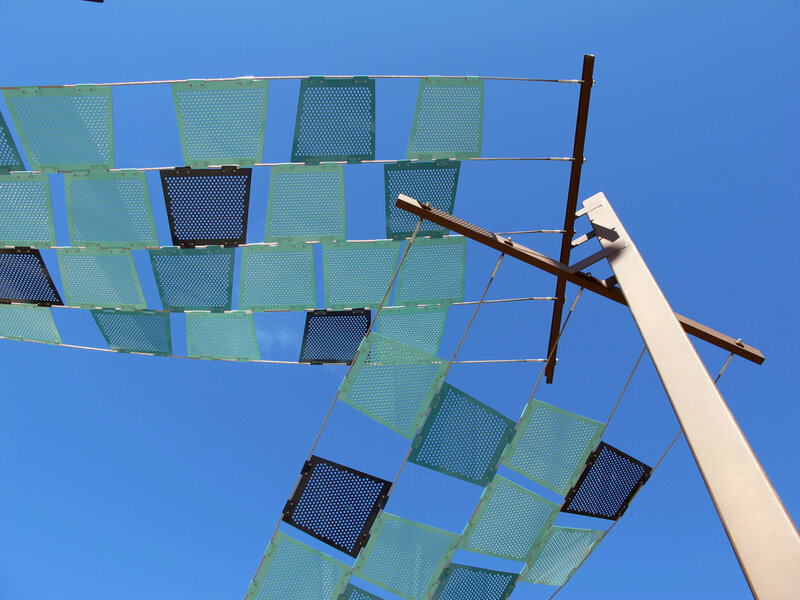 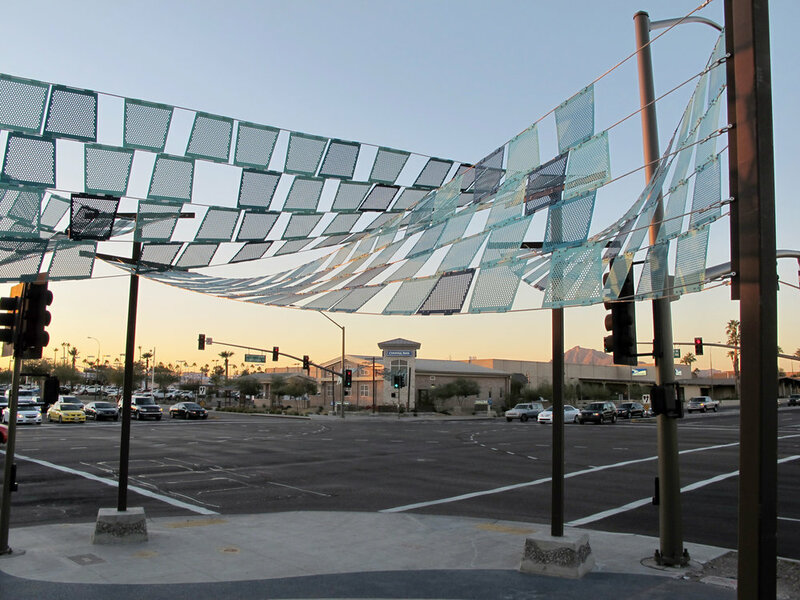 The streetscape improvements included artistic bus shelters, shade structures, serpentine stratified concrete benches and metal seat backs, lithocrete sidewalks, and rustic metal street mile markers. 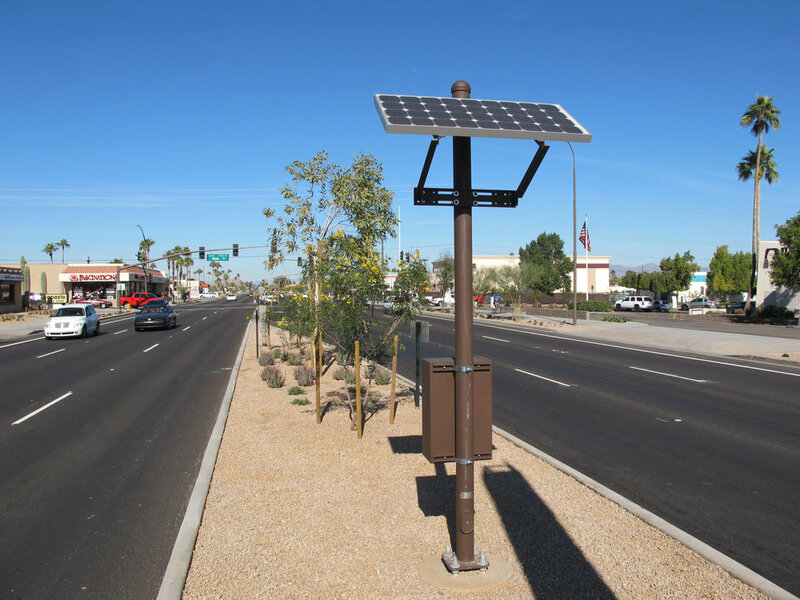 LED lights were used in the street mile markers, bus shelters, and in-ground lighting at various street corners. 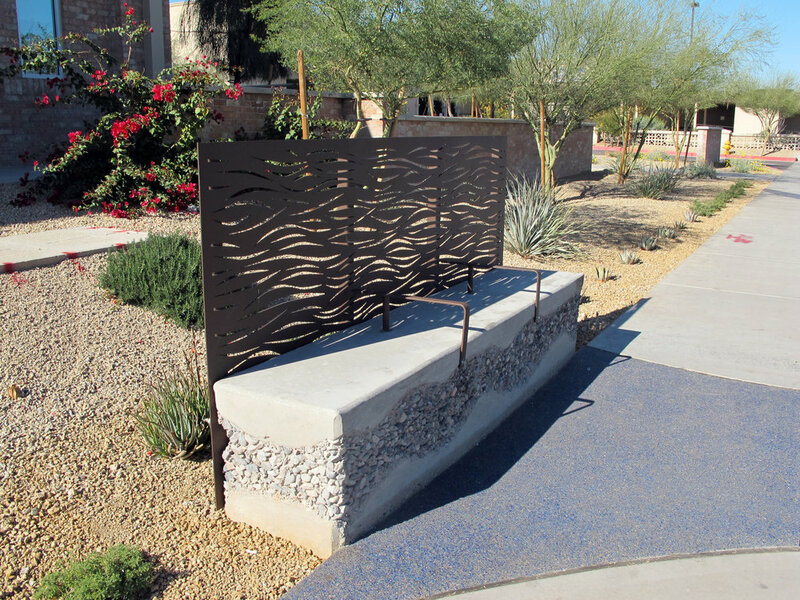 The overall artistic theme of the project was to create a flowing water feel with rivulet patterns to portray a wash or river.